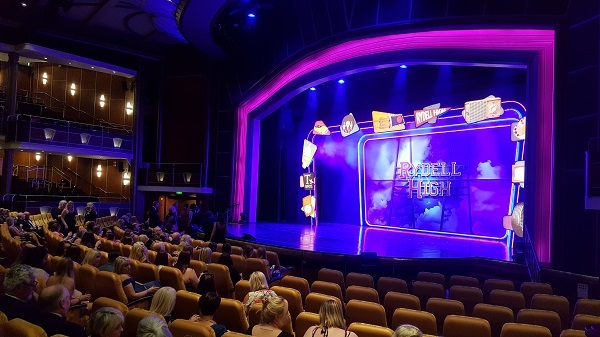 Lucy Bexfield, Senior Travel Consultant at our Norwich travel agents in store at Jarrolds, was on board Independence of the Seas for her recent relaunch after a multi-million-pound refit. Here is what she got up to on a ship that has become a firm favourite for cruises from the UK. We were in a balcony stateroom. On first impressions, it was very spacious, clean and bright and there was a double bed which could be set-up as a twin instead if you prefer. We also had plenty of wardrobe space and a small area with a sofa (sofabed), a table and a dressing table. There was a good-sized bathroom with a walk-in shower, toilet and sink. Our balcony was lovely with two chairs and, as we were right at the forward of deck 7, we had excellent views to the side as well. 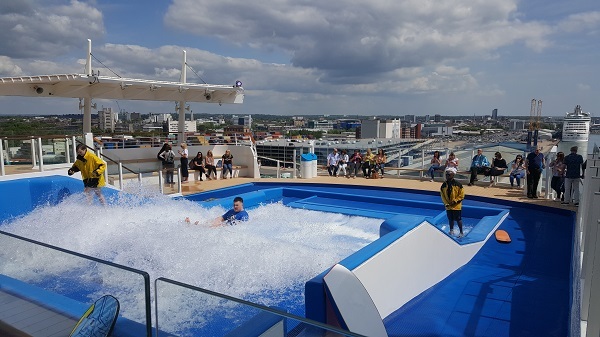 On board the ship, we had all meals (other than speciality dining), drinks, theatre entertainment and activities such as swimming, the new SkyPad, the newly installed water slides, Flowrider, rock climbing wall, gymnasium and laser tag included. We watched the ice skating show, Grease and the Royal Promenade street party, all of which were absolutely fantastic and well worth watching. With regards to dining, we dined both evenings in the main the restaurant on board. On the first night, the food was average but because the service was so slow and we were not served our main course until gone 10 pm in the evening everyone on our table had gone past the point of wanting to enjoy our meal. They also left one meal in the kitchen as it still was not ready but proceeded to serve everybody else on the table. On our second evening, however, we were sat in a different area of the restaurant and the service was far better. The staff were more willing to chat and spent time asking us about how our day had been. We also experienced Johnny Rockets. There would normally be an additional charge for guests but I would say it’s certainly worth the extra money. With regards to the Windjammer buffet restaurant, it always offered an excellent array of foods with a great selection. I also made use of the gym whilst on board and I must say it is one of the best gyms I have used in a hotel or on board a cruise ship. The whole experience was excellent as I had never sailed on a Royal Caribbean ship only and have only ever done a brief ship visit. So having the chance to experience the onboard atmosphere, activities, shows and dining was brilliant. I do think it has a different to feel to other cruise liners. On this occasion, most of the service I feel could have been improved. I did not really feel we came across any members of staff who were particularly happy or who took the time to engage in conversation with us. Most of the bars had long wait times for drinks – sometimes up to 20 minutes – and this was despite the fact that the ship was only half full. I would still most certainly recommend this to both first-time and regular cruisers. 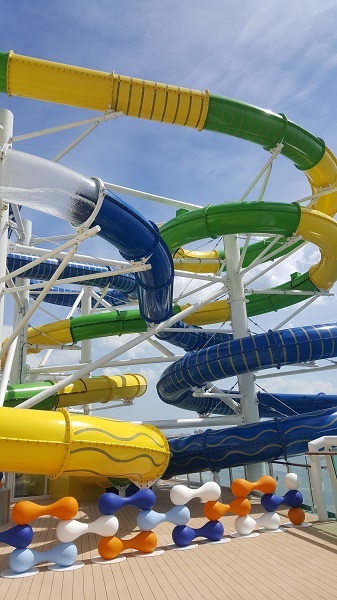 It’s great for families, younger couples and those who prefer larger ships with lots of entertainment and activities going on throughout the day and night. If you would like to plan your own cruise holiday, with Royal Caribbean or any other cruise line, our team will help you make the important decisions. Visit any of travel agents in Suffolk, Norfolk, Essex, Hampshire and Dorset or call your local branch today.